Family names are more than simply a means of identification. Linking one generation to the next, they serve as conduits to the past, helping us better understand who we are, where we came from and, in some cases, where we belong. But what happens when the name we bear doesn’t match that of our ancestors? Who are we then? Such questions intrigued UC Santa Barbara English scholar David Marshall when he learned his paternal grandfather had changed the family name. More intriguing, no one knew what the original name had been. “Forgetting Fathers: Untold Stories from an Orphaned Past” (State University of New York Press, 2015). And therein lies the mystery — and a new book, “Forgetting Fathers: Untold Stories from an Orphaned Past” (State University of New York Press, 2015). Marshall knew that his grandfather had entered New York City’s Hebrew Orphan Asylum in 1903. While there, he received a small Bible, on the cover of which was his name embossed in gold letters: David Marshall. But all the family knew was that Marshall was not the name he carried with him when he first walked through the orphanage doors. And the grandson, in whose possession that Bible now rests, wondered how it was that his grandfather, then an 11-year-old boy, could change his family name. “There was simply no good explanation for that,” Marshall commented. So he set out to find one. Marshall’s painstaking detective work, which began more than a decade ago, continued on and off over the years as he conducted genealogical and historical research both online and at archives, such as those of the Hebrew Orphan Asylum. “And then at some point I just started writing, trying to picture the scene of this boy getting the Bible. It was the primal scene of the book,” he said. Over time, more and more information from archives and other sources made their way to the Internet and sites such as Ancestry.com became prevalent. “At some point, I started to get more involved and then I had some breakthroughs,” Marshall said. And soon the history took on a life of its own. To uncover the forgotten family name — and to understand why the information had been repressed — Marshall had to learn the story of his great-grandfather, who, as he said, “must have had that name.” And what proved to be one of the most telling documents was his great-grandfather’s death certificate. It turned out that this Russian immigrant tailor had died at the age of 36 at River Crest Sanitarium, a facility in New York that resembled a contemporary celebrity rehab clinic. Its patients included the celebrated actor and patriarch Maurice Barrymore, the chess champion William Steinitz and wealthy society matrons. Drawing from Hebrew Orphan Asylum archives, newspapers of the time, city directories, state reports and other materials, Marshall was able to reveal his family history, one piece at a time. “Part of what the book is about as I’m trying to tell these different stories is the way that these seemingly mundane documents open up onto numerous stories, and that each name is a character and each character has a separate story, and if you can read the document well enough and then follow those leads — because each of them is a clue — then unexpectedly it opens up onto many more stories,” Marshall said. “Just as I was interested in the way that documents, like birth certificates, opened up into stories, I became interested in how personal stories were embedded in historical and social contexts — the sweatshops, factories, strikes and even insane asylums at the turn of the century in New York City,” he continued. 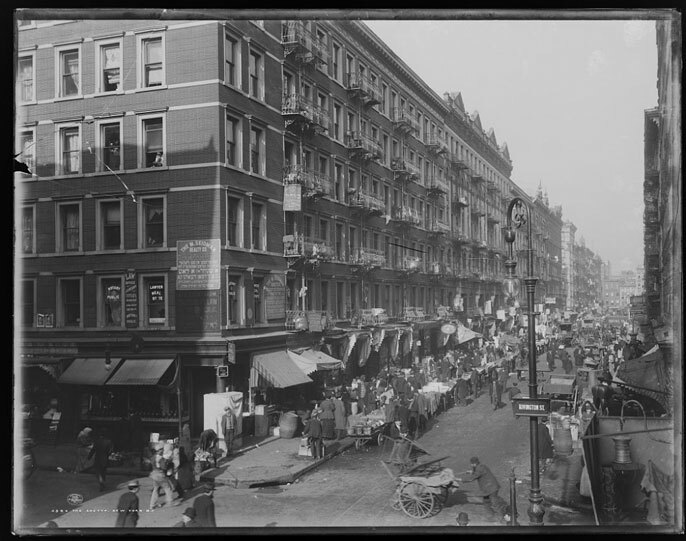 “And to understand these individuals I was trying to trace, I had to be able to reconstruct the world they were living in.” He also learned from contemporary Jewish American fiction from the early 20thcentury that highlighted life on the Lower East Side and among Jewish immigrants during that period. “It doesn’t matter whether any individual event is fictionalized,” Marshall said. “You still get a portrait of what life was like or what people were experiencing. Marshall didn’t begin with an outline or even a clear idea of what the completed book would be. That, too, revealed itself along the way. “I don’t have a linear narrative; it’s not a biography that follows a historical timeline,” he said. “I continued to do research while I was writing. I was constantly discovering new things and having to go back and rewrite sections or having to incorporate new details. And sometimes I’d discover things that would change my interpretations. “I’m trying to reconstruct the narrative of my own search,” Marshall continued. “In some sense, I’m trying to dramatize my own detective story.” He maintained a scholar’s integrity throughout, however (as evidenced by the hundreds of footnotes), scrupulously distinguishing speculation from interpretation and/or fact. Though Marshall’s great-grandmother figures prominently, the book centers primarily on fathers, and on fathers and sons. “A lot of the research focused on the life of my grandfather and how it would have been for him growing up, and why he would have wanted to forget his past,” Marshall explained. “And then I tried to imagine my own father’s inheritance. So I thought a lot about these types of relationships. As it turns out, there’s a lot in a name.